Brandon Dixon had just three home runs all season through Saturday. Two games later, he has four. 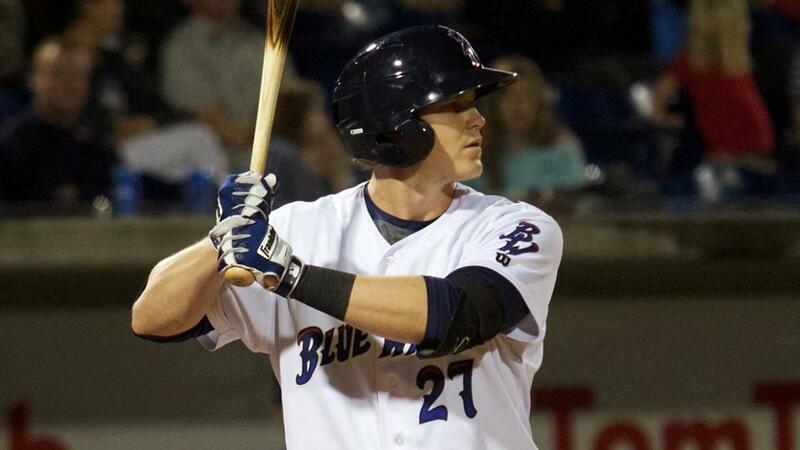 Dixon clubbed a pair and drove in half the Blue Wahoos' runs in Sunday's 12-5 victory over the Birmingham Barons. After a day off, the infielder didn't miss a beat Tuesday. He led off the second inning with a homer to left field and singled through the left side in the fourth. The 24-year-old then cranked a two-run shot to left in the seventh. "I just feel like right now my swing is in a good spot," Dixon said. "I like where it's at. After that, you've just got to get good pitches to hit. Right now, I'm getting them. "The first at-bat, I think I had like a six-pitch at-bat. I was 3-2, and finally [Mobile starter Taylor Clarke] left one over the plate that I could handle. That's been the main thing for the last couple days, just having good pitches." Dixon gave his team some breathing room they'd end up needing in the eighth. With two men on, he ripped a double to left, scoring Sebastian Elizalde and Kyle Parker. Two batters later, Zach Vincej singled to score Dixon with the eventual game-winning run. "Regardless of the score, any time you've got runners on base, you're trying to drive them in," the former Arizona Wildcat said. "Especially late in a game, it's always nice to add to a lead. It gives your pitchers some breathing room, and tonight it ended up really helping." After batting .241/.274/.293 without a homer and seven RBIs in 19 April games, Dixon has been on a tear in the season's second month. Through 22 May contests, he has raked at a .342/.400/.724 clip with seven long balls and 23 driven in. "You can just kind of tell [when things are good], by how your outs are, if you're making hard outs, drawing walks, seeing the ball well," he said. "It's not necessarily just based on hits or stuff like that. The entire scope of everything lets you know you're feeling pretty good and trying to keep it rolling." Mobile mounted a rally in the bottom of the ninth. Arizona's No. 9 prospect Gabby Guerrero belted a two-out solo shot in a three-run frame. But Pensacola's Alejandro Chacin recorded his ninth save by inducing a popout from Evan Marzilli with the potential go-ahead run on base.